This exhibition has ended. Click here to view current exhibits. Free general admission to Sloan Museum in the Flint Cultural Center is sponsored by the Community Foundation of Greater Flint and the Ruth Mott Foundation. The science of human variation, and where current scientific understanding is inconsistent with popular notions of race. The history of the idea of race, with an emphasis on the role of science in shaping the concept of race. The contemporary experience of race and racism in the United States, and the often-invisible ways race and racism have infiltrated laws, customs, and institutions. For more information, call 810-237-3450. The Flint Truth and Action Partnership Project Speaker Series explored local issues related to race and racism, presented with the University of Michigan-Flint Office of University Outreach. Please join us for a talk by Dr. Lawrence Reynolds. This presentation will consider how systemic racism prevents the successful restructuring of the social determinants of health to promote health equity. We will examine how the interaction of race, power, privilege and place has reproduced inequity and disparities at various stages along the life course of Flint's African American residents. Pre-registration is strongly recommended. Please click the button below to reserve your seat. Harold Ford, a lifelong Flint resident, will offer a 21st century perspective of what W.E.B. DuBois called “the problem of the twentieth century... the problem of the color line.” He will draw upon his five+ decades as an educator, activist, writer, and citizen. His experiences include: participation in the 1965 Selma to Montgomery march; FBI/Red Squad surveillance as an anti-war activist; writing for Michael Moore’s Flint/Michigan Voice and East Village Magazine; an ACLU lifer; and 43 years as an educator in Beecher. His multiple perspectives will include points of pride and personal ignominy. Please join us for a talk by Natasha Thomas-Jackson, Regional Manager, NextGen America. There is an art and science to effectively organizing in communities and making social justice a reality for all – one that involves empathy, intersectionality, and a fundamental understanding of systemic challenges that individuals and communities face. This talk will explore these issues and provide information, resources, and best practices for how we can practically engage communities to create a more socially just, inclusive, and healthy world. Please join us for a talk by Dr. Erica Britt, Associate Professor of Linguistics at the University of Michigan-Flint. This presentation will highlight stories from the Vehicle City Voices Project, an oral history project about life in the city of Flint. In addition to hearing visions of Flint's past, present, and future, we will also explore the spoken and unspoken narratives of race and systemic racism that frame the experiences of Flint residents. If race is a social construct, how can it have such clear effects on things like health outcomes? In this dialogue we introduce the idea of the “Bio-Cultural,” a way anthropologists think about how social phenomena like race affect our bodies. Race is not biological, but it nonetheless impacts bodies in unequal ways, sometimes with multi-generational consequences. The “Bio-Cultural” helps us to make sense of this process without inadvertently falling back on a biological model of race. You are invited to join Sloan Museum, Working Actively Intentionally Together (WAIT) and the Community Foundation of Greater Flint in a Visioning Session for a Truth, Racial Healing & Transformation (TRHT) Conversation. We’d like to hear from Flint residents and community members like you about problems plaguing the community, what progress may already be underway, and potential allies who can engage in the TRHT process. Residents will gather along with a W.K. Kellogg consultant and participate in a guided community visioning session which will include small group discussions. We are sure that through this process and your involvement, we will glean valuable insights, information and perceptions about the community to help move the community forward. TRHT is a national initiative of the W.K. Kellogg Foundation to engage communities, organizations, and individuals from across the United States in racial healing and addressing present-day inequities linked to historic and contemporary beliefs in a hierarchy of human value. Free event. Pre-registration is required. A $2 service charge will be applied to online registrations. To register for free, without the online service charge, please call 810-237-3450. Join a group of Flint community members to discuss Demolition Means Progress by Andrew Highsmith. This read is intended to engage the community in dialogue and seeks to strengthen the Flint community by promoting inclusion and understanding about differing points of view, to promote literacy and foster community through shared experience. For this meeting, we will focus on Chapters 1 & 2. You do not need to have read the book to attend. A limited number of free copies of the book will be available. Come prepared to discuss with respect and an open mind. Pre-registration is not required for this event. Please join us for a talk by Kyona McGhee, Region 6 Offender Success Coordinator. This presentation will discuss discriminatory practices in schools and how they lead minority children into the criminal justice system at drastically higher rates than their white counterparts. 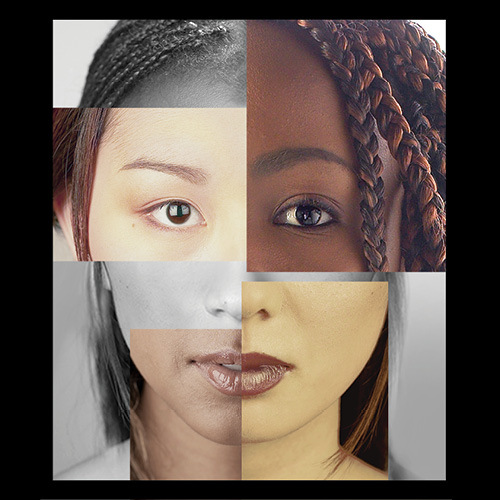 Your ticket for the: Race: Are We So Different?